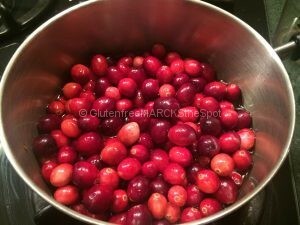 This Thanksgiving try decorating your beautiful Thanksgiving table with a healthier version of cranberry sauce. Cranberry sauce is one of my favorite dishes at the holidays. Yet, I do not like all the added ingredients and sugar found in the canned versions. Now, we make our own – which is so easy and delicious! Think about what you are buying and eating this holiday season. 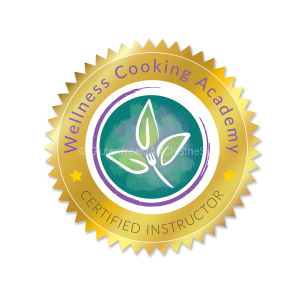 Being mindful of what you eat will help you follow a healthier track. 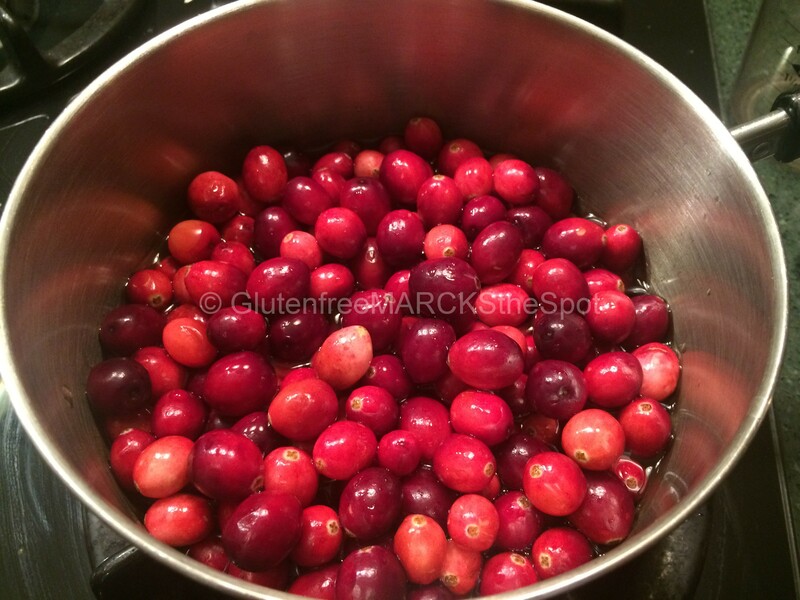 This Holiday Season try decorating your beautiful Thanksgiving table with a healthier version of cranberry sauce. Wash the cranberries and pull out any that don't look healthy. Place in a small pot. Add the water and maple syrup. Slowly bring to a boil, stirring often so the cranberries do not burn. Turn down the heat to about medium and continue to cook, stirring often as the berries break open. Be careful not to burn yourself as they pop! As this cooks down the sauce will become thicker. Lots of stirring as the whole process takes about 10-15 minutes. When most of the berries have broken opened, your sauce is ready. Helpful hint: As the berries are cooking, you can help them to break open by using the back of the spoon you're using to stir. They do pop, so be careful not to burn yourself! 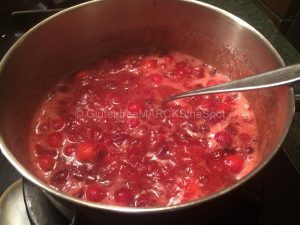 Easy ingredients of cranberries, water and maple syrup. Wash the cranberries and pull out any that don’t look healthy. Place in a small pot. Add the water and maple syrup. Slowly bring to a boil, stirring often so they do not burn. Turn down the heat to about medium and continue to cook, stirring often as the berries break open. Be careful not to burn yourself as they pop! As this cooks down the sauce will become thicker. The whole process takes about 10-15 minutes. When most of the berries have broken opened, your sauce is ready. 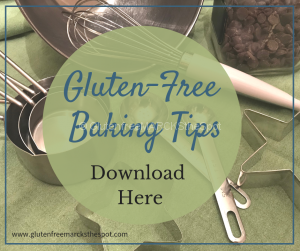 Helpful hint: You can also help the berries break open by using the back of the spoon you are using to stir. 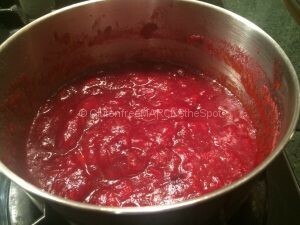 Turn off the heat and let cook a little before storing the cranberry sauce. 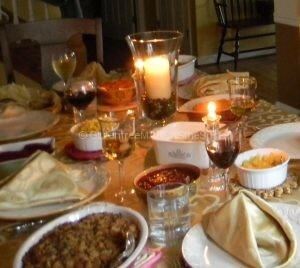 If desired you may grate orange peel over the cranberry sauce to serve – adds a nice touch! Serve with your Thanksgiving dinner! 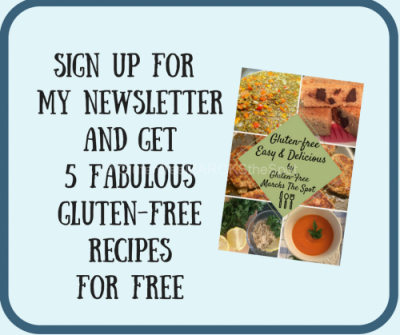 Grab my Newsletter and collect 5 FREE Gluten-Free Recipes! 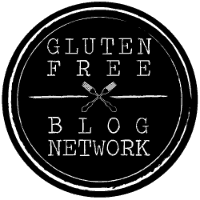 This entry was posted in Gluten Free Living, Recipes and tagged gluten-free cranberry sauce, gluten-free Thanksgiving, healthy. Bookmark the permalink.